As parents our desire is to control our children’s choices especially when it comes to making a college decision. This desire is only natural when it involves people you love, but it must be controlled, nonetheless. Steve and Lori Zeller had three sons that were Mr. Indiana basketball players and were highly recruited. They learned quite a bit through their first experience with Luke to know things not to do during the recruiting process. That experience guided them to make their home a safe haven for Tyler and Cody to express themselves as they figured out the best college to attend. Making this decision can be very stressful and challenging for young men and women to make. Steve and Lori discuss developing the proper mindset in regard to parenting with your children and making their passions flourish rather than controlling them to fit into your own plans. It is important once your child makes their college choice that you realize as a parent it is no longer your job to carry them through their challenges. As parents it’s important to know both your own role and roles of others in the lives of your children. Attempting to play every role in your children’s lives is a form of coddling and ultimately reflects your desire to control every situation, thus stunting their own maturation. Part of being a parent is allowing coaches to be coaches. Our society needs more of a let them go mentality. It’s difficult for parents to sit on the sidelines and allow the game to unfold, but it is a part of letting go. It is up to your children to take everything you have taught them into the world and handle adversity on their own. A loss of control can actually become something that propels everyone to the next level if hardship is approached with the right attitude. Steve and Lorri Zeller (parents of Luke, Tyler, and Cody Zeller) provide an inside look, in their book “Raising Boys The Zeller Way,” at the principles they implemented in their household. Luke, Tyler, and Cody each finished at the top of their high school class, won Indiana’s famed Mr. Basketball award, went on to play basketball at Division I universities, and play in the NBA. But most importantly, they have turned out to be high character people. In this Podcast, Steve and Lori give tips on how parents can make sure that the recruiting process doesn’t control their children. They will also give you strategies how to support your child through the challenges they will face participating in college athletics. The Zeller’s help us understand that parenthood gives us the greatest responsibility in the world but also the greatest opportunity to give something to the world. Parents need to realize it is more important to be remembered for not what we did, but rather for what our children become. There is so much great information throughout this interview. Our hope is this podcast will give parents the tools to guide and support their children through the recruiting process and allow them to support and enjoy their college experiences! As parents, there is an internal struggle of desperately wanting your children to be better than yourself and better than the way they are currently acting or performing. This is not a bad desire. However, it becomes dangerous whenever this desire leads to controlling your children. You have to let your kids go through the process, whatever it may be, even if there are mistakes along the way. Ultimately, performance-based love from parents produces performance-based identities in their children. Studies have actually proven that even telling your children something positive along the lines of, “You’re a good basketball player,” can actually have a detrimental effect on them because their entire identity is based on their performance. Therefore, whenever they have a day when they are a bad basketball player, they will consequently feel worthless and empty. It’s far too easy to hook a kid’s identity to what they are doing or what they have done. That is why it is important to implement character into everything because you hook their identity to something much more long lasting and important than their performance. In this Podcast, Steve and Lori share important lessons they learned from mistakes they made to become better parents. You will learn about a car ride with Luke that transformed Steve from being a “Helicopter Parent” to a “Supportive/Loving Parent.” Sports psychologist Jarrod Spencer, author of The Sky Is Not the Limit, says that athletes commonly rank the ride home with their parents as their worst sports memory. Spencer suggests that it’s one reason why 75 percent of kids stop playing sports by age thirteen. Steve was able to use that car ride to develop a better bond with his children, allow them to go through processes and enjoy the journey. He gives great tips on how you as a parent can do the same with your children. Steve and Lori have come in contact with so many parents who try so hard to make sure their kids are successful athletes without even thinking about how it might impact the child within. There is so much great information throughout their interview. Our hope is this podcast will give parents the tools to raise children who enjoy their sports experiences and become high character people through the journey! In recent years, social media has grown rapidly. Services like Twitter, Facebook and Intagram have provided opportunities for people to speak in real time for everyone to see. It seems like a great idea, but unfortunately it can be costly if not used appropriately. Coaches are constantly attempting to find the balance between implementing rules, bbeducating players and placing restrictions on usage during the season. This year, Dabo Swinney banned all Clemson football players from using social media during the season. It has worked out really well for them, but that is not the best option for every program. All of this can be a daunting task for coaches that didn’t grow up with the technology of today. I can completely understand because I didn’t get a computer until I was 20 years old. Today, kids are getting laptop computers at the age of 10. So what should a coach do to make social media a benefit instead of a detriment to their program? We brought in social media expert Alex Cervasio, with CVAS Consulting, to build out a plan that will assist coaches, parents and players to maximize the benefits of social media usage. 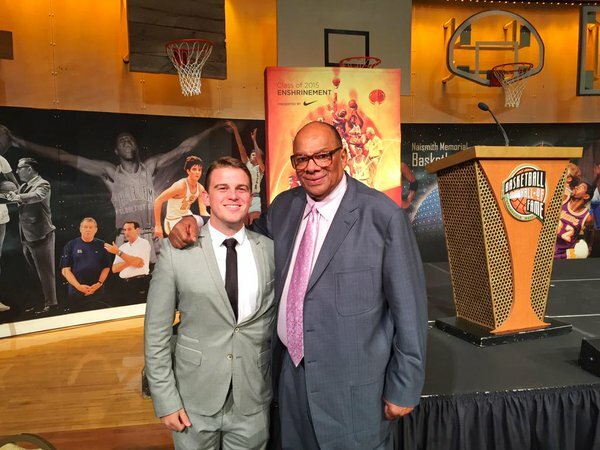 Alex has setup social media strategies for Billy Donovan, George Raveling, Kevin Eastman and many others. He is sought out by the top coaches and leaders within the basketball community. In this Podcast, Alex goes over how you can build an online presence with the proper social media strategy. This can be done even if you are working on a limited budget. He gives simple strategies to educate student-athletes on social media usage that will help protect the program’s culture. He educates parents as well how to instill good habits at young ages within the home. There is so much great information throughout his interview. Our hope is this podcast will help coaches, parents and players use social media in a constructive way! When I look back, I’m amazed I’m here. As a teenager, I have trouble counting all the occasions I could have gotten myself killed. I had more than one, “my whole life flashed before my eyes!” moments in those years. I drove too fast and cornered too hard, among other transgressions. As I look back to how I behaved as a teen, I am alarmed as a Parent to think about the possibilities when my baby boys become teenagers. When we spoke with former Boston Celtic Chris Herren, on #14 of the JHS Podcast, about his fall from grace, his battles with cocaine, alcohol and heroin (among many other drugs), we tried to dig down to what might have been done to change his path. Chris was a kid that torn up over his parent’s divorce (alcohol played a role), and a kid feeling tremendous pressure from the game of basketball. He was a brilliant basketball player. He felt the eyes of all the coaches in the stands watching his every move as a 15 year old. He felt the weight of expectations from his entire community, that he would be as good as his older brother Mike, that he would lead the team to a State Title, that he would make the NBA. All that weight was on a 15 year old’s shoulders, and he wanted to escape. So he rebelled. He smoked. He drank. He partied, and he got busted. He was lectured, he was yelled at, people told him they were disappointed in him because he had all this talent and was throwing it away. But nobody got right down to it and asked him, Chris, “Why?” Why are you doing the things that you are doing? In an upcoming JHS Podcast, we will be talking with Steve and Lorri Zeller, the parents of Luke, Tyler, and Cody Zeller. All three kids are in the NBA. All three were nearly perfect academically in high school and college. All three nearly died in high school because of crazy, irrational actions. In reading their book, the way they handled those situations involved incredible acts of grace. It’s not just “bad” kids that get into trouble in high school and do things that risk their lives. It’s most kids. It happens, and it’s part of life and it could happen to me someday as a parent. I’m so grateful for the honesty and wisdom that people like Chris Herren and the Zellers are sharing with me on the podcast. For me, I’m still scared about getting that phone call, but I feel more prepared about handling it. I hope you’ll keep listening and together, let’s make the world a better place through sports. As a Coach, we all want players who can memorize and execute their playbook under pressure situations. As a player, we lose minutes sometimes because we do not know the playbook. 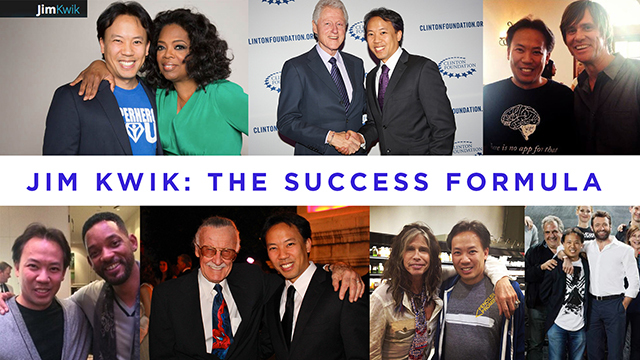 No one on Earth has a more powerful mind than the founder and CEO of Kwik Learning, Jim Kwik. But don’t take it from me, ask the founders of Google, Bill Gates, Bill Clinton and the hundreds of top leaders around the globe who have hired Jim to improve their mental abilities and memory. Jim’s story was powerful to me because as a child in first grade my parents were called into a meeting and told that I could not read and was a “slow learner”. I was placed in a Hooked on Phonics course and I’m telling you that label “slow learner” was in my head most of my life. Jim Kwik was labeled “slow” as well after a childhood head injury. He struggled in school just as I did. We shared the same pain. My solution was dogged hard work to manage a 3.2 GPA through high school and college. Jim’s solution was to rewire his mind and “learn, how to learn.” Obsessed with comic books, he imagined himself as a Super Hero with fantastic mental abilities. At some point, his imaginations became reality and now the top thinkers in the world hire Jim to teach them how to unlock the potential we all have in our “Super Hero Minds”. In this Podcast, Jim Kwik shares the secrets to his “powers” and how you can quickly empower your team to remember all the little things that make a BIG difference. Imagine the confidence a coach has when he or she absolutely knows that the players can and will set up and execute plays at a higher level! Our hope with this podcast is to make you a smarter coach, with a smarter team! Seven years sober, he has now accomplished more as a human being than he ever did as a basketball prodigy. A new generation of youngsters now know Chris from the ESPN 30 for 30 Film, “Unguarded”. His honesty and vulnerability in telling his story has brought tears to the faces of hardened criminals when he speaks in prisons, and he has no doubt saved the lives of hundreds, possibly thousands of teenagers as he tirelessly shares his story around the country. 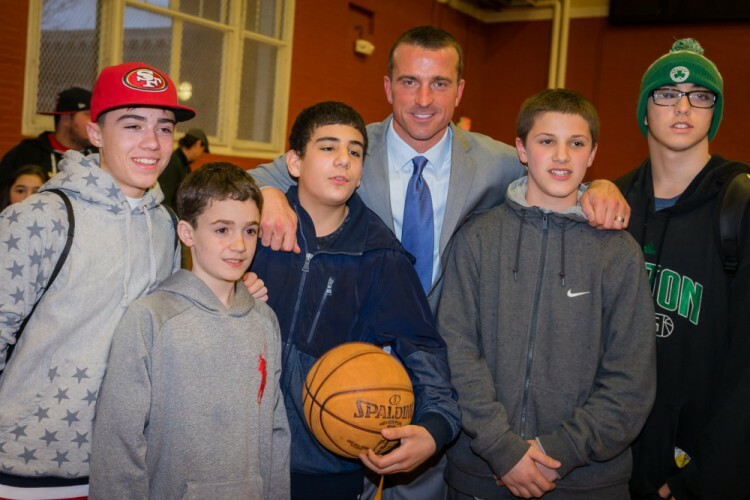 Chris Herren is a man on a mission to make up for time and love lost. Chris is the founder of The Herren Project, a nonprofit organization dedicated to providing treatment navigation, educational and mentoring programs to those touched by addiction and to educate people of all ages on the dangers of substance abuse. In 2012, The Herren Project launched a national anti-substance abuse campaign, Project Purple, to encourage people of all ages to stand up to substance abuse. Listen to this episode of the Jim Huber Show to hear Chris speak in detail about the issues our teenagers face today with alcohol and drugs. Chris gives great tips and strategies on how to prevent kids from going down the same path that he traveled. He also lets you know how to help someone that is struggling with addictions. There is so much beneficial information for coaches, parents and players that Chris discusses throughout the show!